Do you struggle with acne and can not afford an expensive Dermatologist visit? Are you tired of waiting for weeks for an appointment? Fed up with the "one size fits all" products that you bought on the drugstore? It's time for something different. The MDacne acne treatment is different than any other acne treatment available on the market. All you need to start your acne treatment with MDacne is a smartphone. With MDacne you take a selfie, the app analyzes your acne and send you a full kit of acne medications personalized to your skin type and acne severity. What are the unique advantages of MDacne over other acne treatments? The MDacne treatment kit is customized. Instead of getting the "one-size-fits-all "kit (like Proactiv) that only works for a portion of the population, MDacne will send you a fully customized acne treatment kit that includes an anti-acne treatment kit, cleanser, and moisturizer - all with formulas tailored to your specific skin and acne condition! Unlimited chat with our Dermatologist: With MDacne you are not alone. As a subscriber, you get unlimited access to Chat with a dermatologist through the MDacne app. Free fine-tuning of your acne medications: MDacne fine-tune your ingredients until it finds the perfect formulas for your skin. Monitoring your progress: You would be able to use the MDacne Selfie Tracker to monitor your skin progress through the treatment. Our mission at MDacne is to match each user with the right acne treatment for their specific skin type and acne condition. Our products use the most effective anti-acne medications combined with natural boosters to heal acne as quickly as possible while minimizing any irritation. 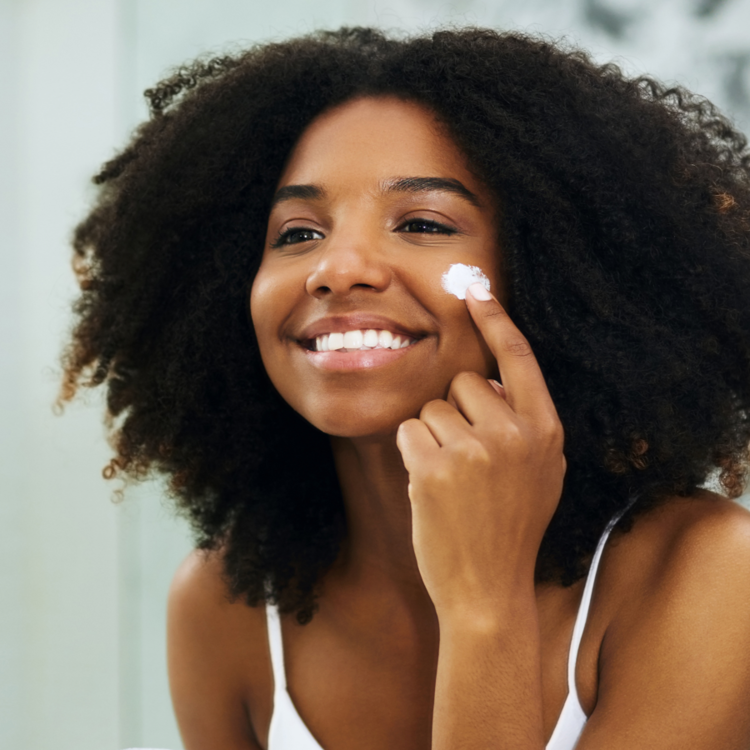 Because they are personalized for your skin, they're usually much more effective than the "one size fits all" products you can buy in drugstores or online. In addition to the treatment kit, subscribers get unlimited access to chat with a dermatologist through the app for support during the treatment. Once you subscribe, you will receive a fully customized kit of products and as well as full access to premium service of the app, including unlimited access to "Chat with a Dermatologist", skin monitoring with the selfie analysis tracker, fine-tuning of your products, and more. All for less than $1/day. What are the main ingredients used by MDacne? Every user gets different products based on her/his skin type and acne severity. The main active ingredients that we use are micronized benzoyl peroxide and salicylic acid combined with plant-based treatment boosters to reduce inflammation. For example - we have multiple types of different active ingredients for the night anti-acne, different percentages, and strengths for the medicated acne cleansers etc. If needed, we can also fine-tune (free of charge) the products during your treatment and send you another type of cream or cleanser based on your skin improvement. What to expect when you start the MDacne treatment? The goal in MDacne is to match each user the right acne cleanser, treatment cream, and moisturizer, for their exact skin type and acne condition to get the best results as quickly as possible with minimal irritation. As with every medical treatment, one never can be sure if it will work or not for a certain person. Having said that, most people with mild to moderate acne who use the MDacne products, see a dramatic improvement in their skin. Most people feel their skin cleaner and refreshed in just a few days. If you use your treatment as advised, visible improvement is usually seen after 3-4 weeks with significant improvement at 8-12 weeks. Once the acne is improved the results can be maintained long-term with slight adjustments made to your treatment kit along the way. Can I use the MDacne products to treat my body acne? The MDacne team developed a unique body acne treatment that allows an effective, tablets- free treatment of body acne. Will the MDacne treatment reduce my post acne dark spots? The MDacne subscribers can order the MDacne Darks spot remover Duo. Composed in an oil-free lightweight base, it is the world’s first dark spot corrector specially formulated for acne prone skin. Inspired by the Kligman Formula, the gold standard prescription skin lightening formula used by Dermatologists combines powerful medical grade compounds with plant-based ingredients. Using a unique formulation of medical grade skin lightening agent (hydroquinone) plant-based skin lightning agent bearberry extract, retinoids, beta hydroxy acids and potent anti-inflammatory botanical complex it provides a highly effective treatment of a hyperpigmented lesion with minimal risk for skin irritation. The Dark Spot Corrector cream is accompanied by a proprietary active oil-free sunscreen developed by the company. The new MDacne oil-free sunscreen provides broad spectrum UVA/UVB protection and was specially formulated for acne prone skin, in an oil-free, non-comedogenic, light, shine-free formula. As an active sunscreen, the MDacne oil-free sunscreen is infused with plant-based ingredients including, green tea extract that helps fade dark spots, evens skin tone and boosts skin's natural healing, licorice extract, a potent antioxidant, that prevents and help fade brown spots and Vitamin C that helps lighten pigmentation, evens skin tone and boost your skin's natural healing.